This 14-day itinerary aims to give students insight into the reality of living on an island prone to natural disasters, and the community efforts to repair, rebuild and rebound. In Tokyo, students will have a chance to experience the traditional and the modern, exploring pop culture in Harajuku and Buddhism in Asakusa. 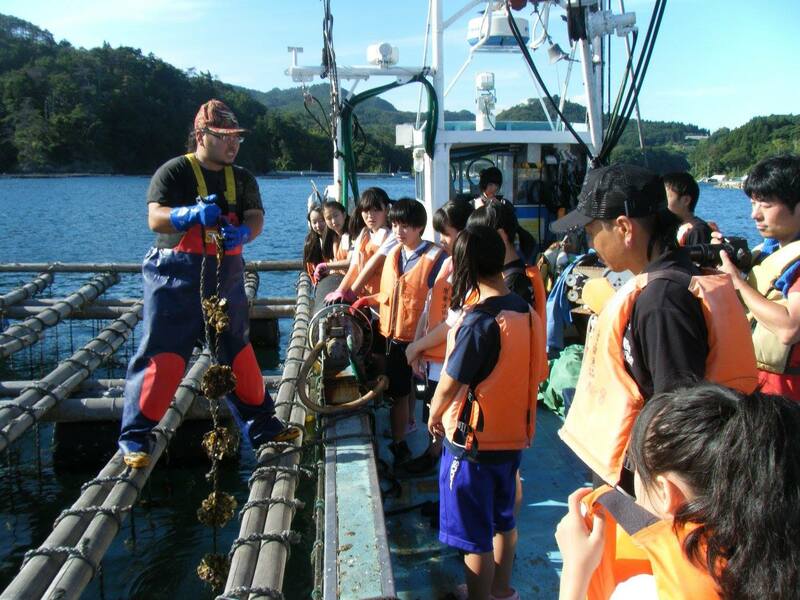 Students will travel north to the town of Kesennuma, which was devasted by the 2011 tsunami. Finally, they’ll explore the country’s historic and cultural sites, from Hiroshima to Kyoto. Arrive in Tokyo and meet your guide at the airport before transferring to the city. After your trip briefing, take in the cityscape with an incredible view from atop the Tokyo Metropolitan Government Building. Call in at the batting cages to experience first-hand one of the most popular sports in Japan – baseball! Hop on board the bullet train to Kesennuma where you will arrive in the afternoon. Take a tour of the town and visit the Rias Ark Museum to learn about how the town rebounded after the 2011 tsunami. Later, stop by an aquaculture farm, which has developed sustainable methods to farm oysters and scallops. Go out on boats to harvest the harvest the catch from the offshore beds, then assist with processing the catch. Visit Koyo High School, which was formerly an industrial high school located near the seafront. Learn about the robust emergency planning that saved students after the tsunami. Next, pay a visit Seiryoin, a Soto Buddhist Temple with a 460-year history, which served as an evacuation site during the disaster. Take part in volunteer work such as setting up for the musical events which are regularly held here, cleaning the temple, or basic maintenance. Wake early for a guided tour of the Kesennuma Port. 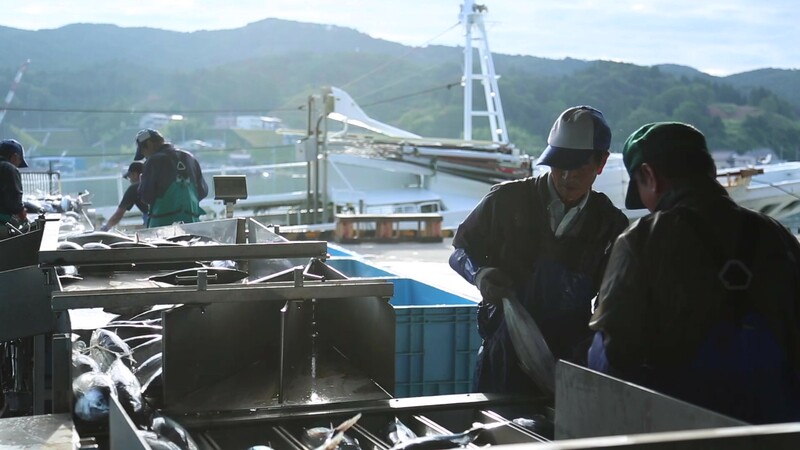 Observe the auction and tuck into a breakfast of sashimi, whilst learning more about efforts to make the town’s fishing industry more sustainable and attempts to use tourism to stimulate the local economy. Head to the Oikawa Denim Factory to see how swordfish are used in the production of denim! Enjoy a sushi-making class led by a master sushi chef, and then sample your produce for dinner. Hear how the restaurant was rebuilt after the disaster from the chef and owner as you eat. Transfer by train to Odaka Station, and tour the area of the Fukushima Daichi Power Plant, which suffered a nuclear meltdown as a result of the 2011 earthquake and tsunami. The tour is arranged by the prefectural government and we will only visit areas which have no risk of radiation exposure. Learn about the accident, the evacuation, the response and the subsequent rebuild. In the evening, it’s time to head back to Tokyo. Wake up bright and early to visit the Sensoji Temple in Asakusa, and explore the district’s charming streets. In the afternoon, enjoy the traditional-modern contrast in the Harajuku area of Tokyo. First, wander through the forest until you reach the Meiji Shrine, then move on to the Harajuku shopping district to see maids, punks, goths, and fashionistas – anything goes in Harajuku! See the famous Shibuya Crossing. When the lights turn red at this busy intersection, pedestrians surge into the junction from all sides, like a floodgate opening. This morning, you’ll pay a visit to a local school. Enjoy a tour of the school and join various lessons alongside local students, before sports and other team-based activities. Later, head to the Tokyo National Museum. The museum houses one of the world’s largest collections of art works and archaeological objects of Asia, with a special focus on Japanese artefacts. Transfer by private coach to the Fuji-Hakone-Izu National Park. Enjoy views of Mt. Fuji, an iconic volcano which has come to symbolize Japan, with a perfectly symmetrical cone that rises to 12,388 feet. Take a series of cable cars and mountain railways through the park, before descending for a cruise on scenic Ashi Lake. Today, you can also sample black eggs – a local delicacy coloured by the sulphuric spring waters they’re cooked in! Hop on board a bullet train and race across the country to your next destination, Hiroshima. Today, you’ll explore Miyajima, an island where tame dear accompany you as you explore the stunning shrines, beaches and waterfalls. Just offshore you will see an enormous torii gate standing in the sea, one of the most loved sights of Japan. Learn about Hiroshima’s tragic past connected with the atomic bomb and its subsequent recovery and pacifist mission at the Hiroshima Peace Memorial Park and & Museum. Listen to a Peace Talk by A-bomb Legacy Successor, in which they present the A-bomb survivors’ experiences, the reality of the atomic bombing, and desires for peace. In the afternoon, board a bullet train and make your way to Kyoto. Walk through quaint side streets to the 1,200-year-old Kiyomizu Dera Temple, from where you’ll enjoy postcard-worthy views over Kyoto. Stroll around Higashiyama District, before experience Japanese culture first hand with a calligraphy lesson led by a Japanese master of calligraphy in her personal workshop. Visit the Fushimi Inari Shrine, a major Shinto shrine complex in wooded hills. To get onto the beautiful walking trails at the back of the complex you’ll pass through corridors of thousands of bright red gates. Pay a visit to the International Manga Museum, home to over 300,000 publications. Why not watch one of the manga artists stationed there, deep in concentration as they create their art! Visit the district of Arashiyama, on the Western outskirts of Kyoto as you navigate through lush bamboo forests, before starting the 30-minute climb up to Arashiyama Monkey Park. Move on to the Tenryu-Ji Temple. Whilst there, make sure to look into the Dharma Hall to see the dragon’s eyes on the mural – they’ll follow you as you walk past. Discover your inner peace with a Zen Buddhist monk during a meditation class at the Daisen-In Temple. Explore the temple and enjoy an informal tea ceremony with volunteers from the temple. 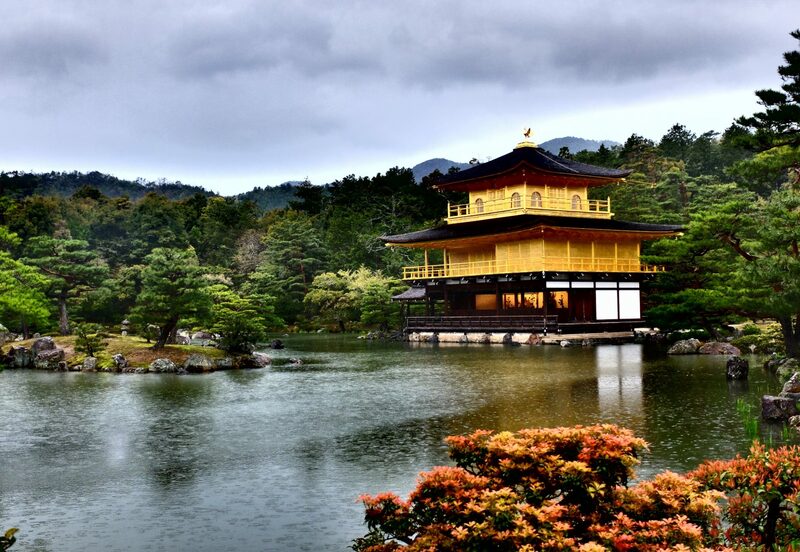 Then head to perhaps the most iconic site of Kyoto: The Golden Pavilion. Walk around the lake and be mesmerized by the shimmering golden reflection of the pavilion on the water. Later, stroll through the Grounds of the Imperial Palace before exploring Gion District where you can learn more about geishas or watch a traditional Japanese Performances. Today is time for your epic adventure through Japan to come to an end. Leave excited to apply what you have learned during your trip, back at home! Examine the effects of a natural disaster first-hand, the necessary relief systems and subsequent environmental sustainability efforts put in place. Uncover Japan’s rich history, from its ancient traditions to the devastation of the Second World War, and the aftermath of recent disasters to its thriving modern, economic developments. Experience Japanese culture first hand through sushi-making classes and calligraphy lessons.